The technology wunderkinds at the NBA likely subscribed to one mantra when dreaming up the new esports NBA 2K League: if it ain’t broke don’t fix it. The NBA 2K League, which begins next year, borrows so heavily from the traditional NBA League that it’s an almost replica video game version, yet this has not stopped it being hyped as a game changer for the esports industry, particularly as it marks the first time that esports teams have been owned by professional teams. “We believe we have a unique opportunity to develop something truly special for our fans and the young and growing esports community,” said NBA commissioner Adam Silver, at the announcement of the launch of the league. For the sponsorship industry, the new league, which has been created with Take-Two Interactive, the developer of the popular NBA 2K video game, presents a raft of opportunities, from in-game branding, e-commerce opportunities to sponsorship of teams and individual players alike. More crucially, the league will target the sought-after millennial audience. It is inarguable that esports is hot right now, particularly in the US, with a slew of investment from sports luminaries into the sector. 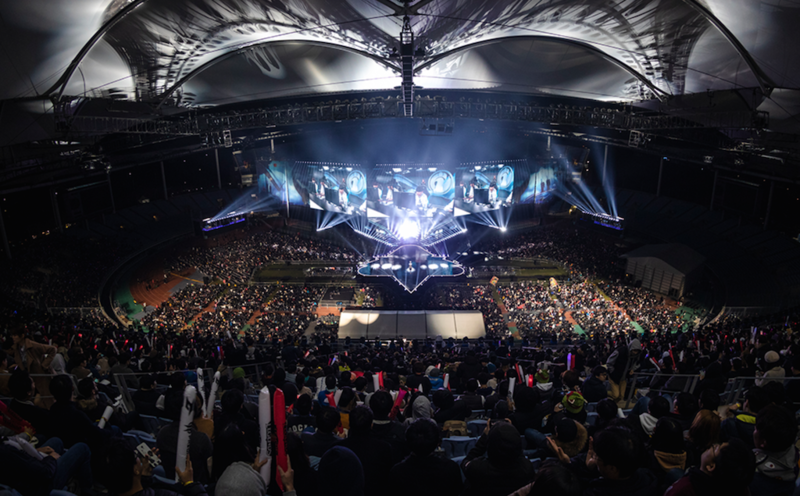 At the same time, fans have been packing out some of the world’s most iconic sporting arenas, to watch high-profile video gamers, who are stars in their own right, battle it out for success. The NBA is leading the esports charge, spearheaded by Silver, who believes it to be a magnet to capture younger fans, particularly in China. 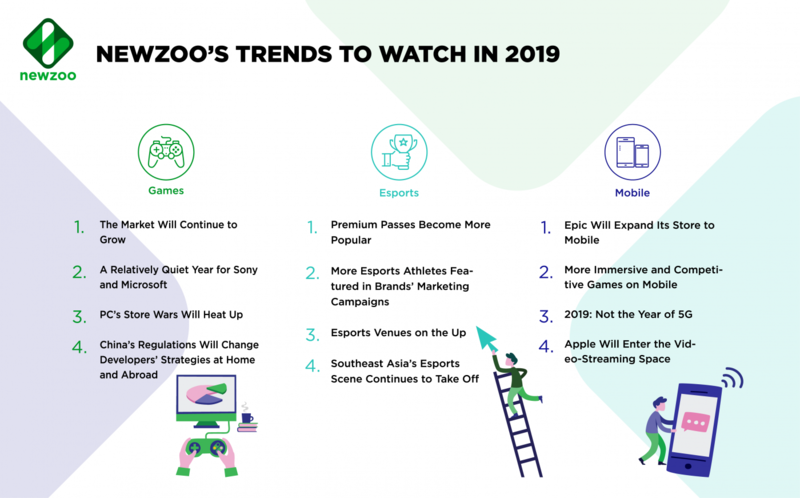 Not only that, he also argues that Amazon-owned Twitch, the platform used to watch NBA 2K, which features a flurry of stats and chatter, represents the future of how the traditional NBA game should be aired. Silver says: “If you go on Twitch, for example, and see what it’s like to follow those competitions, it’s sort of constant chatter of fans. There’s all kinds of other information appearing on the screen. Amid the fanfare heralding the arrival of the league, however, questions remain about whether it will be an out-and-out success: sceptics point out that less than 1% of gaming is in professional esports and fans could be turned off by one or two differences to the traditional NBA game. Seventeen teams – including stellar names like the New York Knicks and Boston Celtics – have signed up to the inaugural season, each reportedly paying around $750,000 (€640,000) for a three-year deal to participate in the league. Missing from the list, though, are the Chicago Bulls, LA Lakers and San Antonio Spurs, three of the most celebrated teams in the league, though it is unclear why they are not participating. 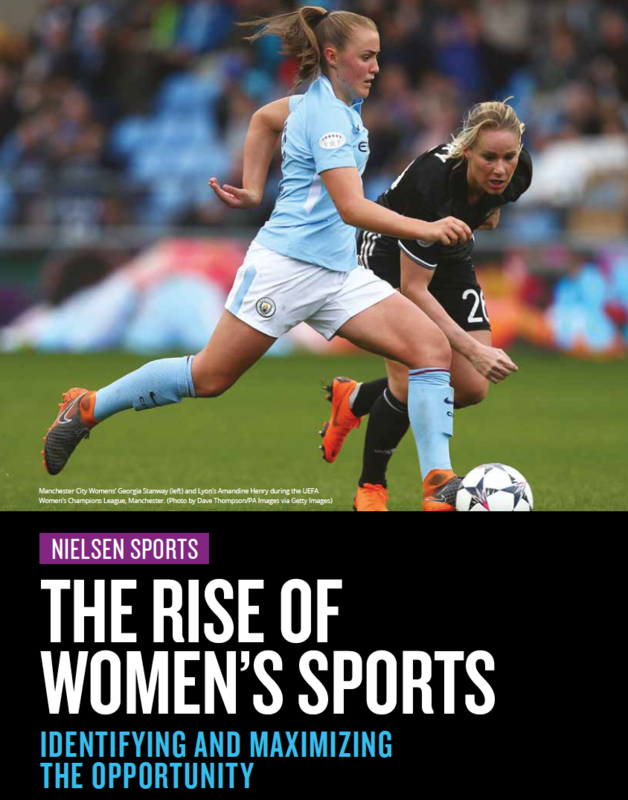 “I think anything where you have brands that big who aren’t partaking, that is going to have an impact on the league to an extent,” says Malph Minns, managing director at Strive Sponsorship. 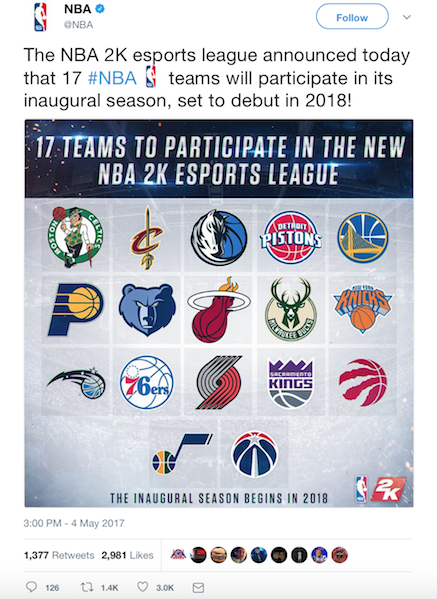 The players, who can be male or female but must be over 18, will likely be existing NBA 2K gamers or top players of other esports. They will be scouted by teams and, if successful, like LeBron James and Kevin Durant, will be signed by teams and have the opportunity to ink in individual sponsorship deals. But unlike the existing NBA 2K game, players will not replicate NBA superstars but rather each create a newly developed avatar. Manny Anekal, who runs several esports companies, says: ““This is by far the biggest question for me and I’m sure many others. 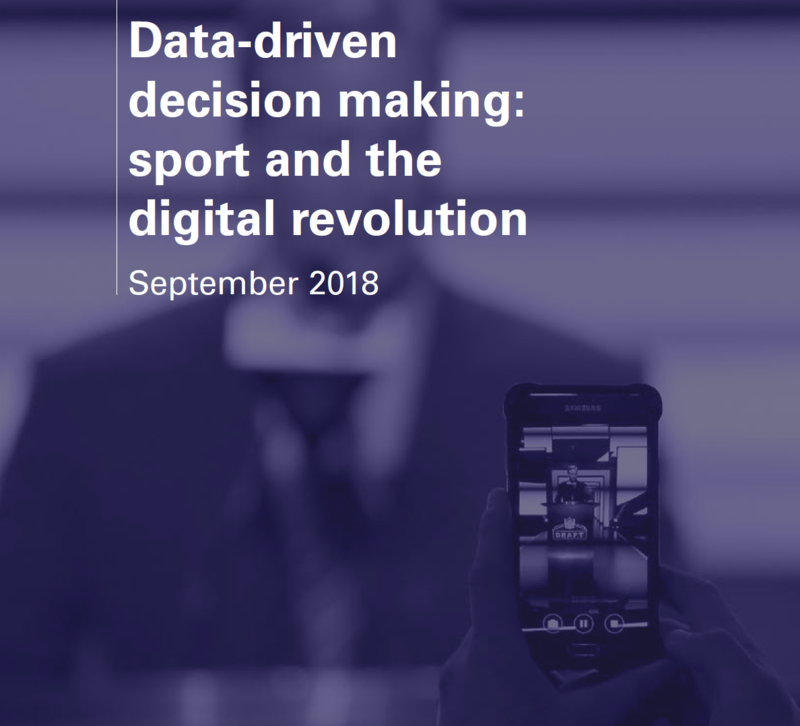 With sports titles and esports, there is the inherent question of whether there is an audience that wants to watch someone play as their favourite virtual athlete. The NBA, though, argues that these players will be able to build their own fan bases over time. The games will be played in one or two central locations and the NBA is currently in talks to have matches televised or streamed. Donahue says the NBA 2K League has a handful of advantages for advertisers vis a vis other video games. But League of Legends is more popular, with around 27m daily users, dwarfing the 1.6m daily users of the NBA 2K game. Minns also points out that Twitch does not even consider NBA 2K and other sports games as esports so small are their audiences. Other commercial advantages that the NBA 2K League has, Donohue argues, are that fans expect to see brands, like Mountain Dew, showcasing their ads during games, like they do at traditional NBA games, unlike other video games where it appears “inorganic”. Donahue also says that advertisers could tap into the “coolness” of the NBA brand, hinting that brands could perhaps tie up not only with teams and players but also celebrity fans of the NBA. “We think there is a unique opportunity to create incredible content around the cultural piece of the game. We are not just buying signage; we want fully integrated activation,” he says. Details of the media rights have yet to be finalised while it’s also yet to be determined whether games will be played on Xbox, PlayStation or PC. Conceivably, the NBA could strike a deal with Twitch to showcase the league while broadcasters like ESPN or NBC, which have already shown an interest in esports, could be in the mixing pot. Alternatively, the NBA has its own TV network, NBA TV, which it could use. But Anekal says the power of the NBA brand means the NBA will be able to land a paid-for broadcast deal. Last year, the Philadelphia 76ers became the first North American professional sports team to own an esports team, when it reportedly spent up to $15m investing in Team Dignitas, an esports team which gave it a prized slot in the League of Legends Championships and other video games, but not basketball. Dallas Mavericks owner Mark Cuban and Washington Wizards owner Ted Lenses have also moved into the esports space. An appealing aspect of the deal was cross-promotion opportunities between the 76ers and their esports teams, such as the mass merchandising of esports player jerseys. 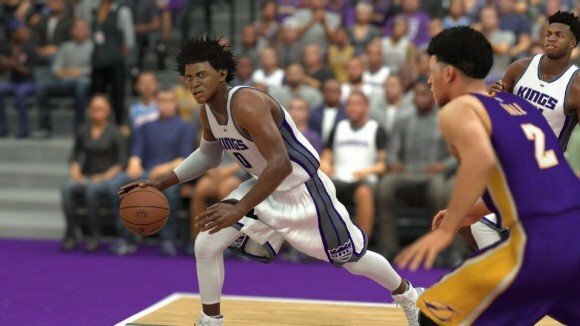 Biggs believes the NBA 2K League will offer similar types of monetisation opportunities. He also thinks the 76ers could have a headstart on the court too, pointing to a better understanding of the mindset of gamers and how esports operates. Donahue thinks the NBA is on to a winner with the new league, driven by the recognition of the NBA brand coupled with the popularity of the NBA 2K game. “This is a massive industry and we think we have a place in it,” he tells GamesIndustry.biz. 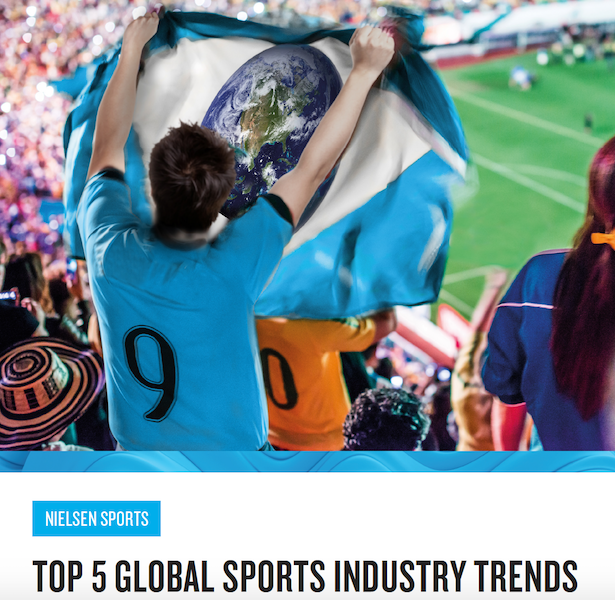 “There’s a significant appetite for the game in the US, but more importantly globally. We have a free version of the game in China that has 34 million registered users. That suggests there’s a global appetite for the game; in fact, I don’t think people understand how big the 2K game is globally. “This is a long-term play for us. We expect this to be around for decades, so the primary goal is building an audience, doing that in the right way, and creating an environment where our players can be successful. We’re confident the revenues will follow if we do that right.” But the league will need to not only convince fans of its appeal, but also market the hell out of it to make it visible on people’s radar. Interest in esports in the US and the rest of the world is growing but the NBA will need to break new ground and attract legions of fans to its league, not just gamers, if it’s to be seen as a success. Powered by the NBA brand, and its financial muscle, it has a chance of achieving this over time. 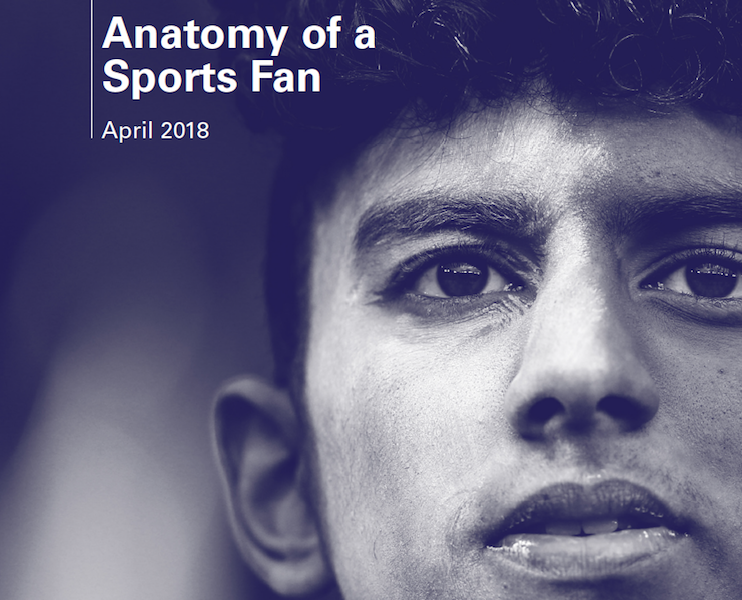 First published by SportBusiness 23 October 2017.